Set on a private Naka Yai islet in a lush luxury style, Six Senses Sanctuary in Phuket has the power to change the way you live. By this, I mean no stress, no tension, and no worries in your remaining life. And this is possible via a totally commendable spa of this retreat. 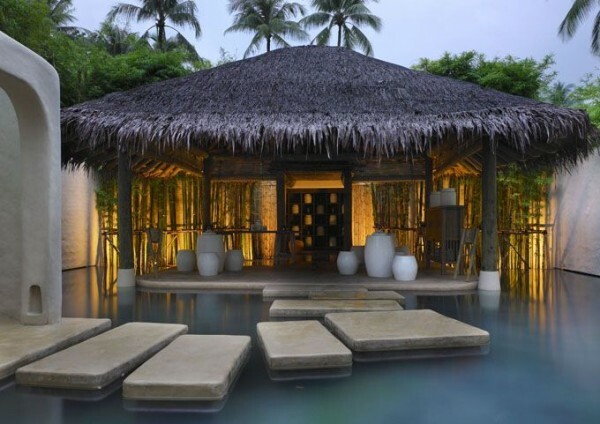 The Six Senses Sanctuary Phuket is the only resort on the palm-fringed island of Naka Yai. Do not take it to be a classical romantic getaway; but rather, it is a perfect destination for rejuvenation where rewarded approach to wellness blends well with the simple style. It is here where you are pampered and re-cherished amidst its magical vibes offering your life’s best vacation. The main draws of this spa resort are its effective pan-Asian therapies, advanced wellness, evaluation of your goals as well as lifestyle, and included (room charges) daily spa treatments. Further, it is a eco-friendly hotel that harnesses solar energy and recycles the wastes. Speaking about its rooms, there are 61 pool suites and villas. The rate doubles from THB 30420. Among the amenities, you can use gym, spa, mediation garden, and book as well as DVD library. In addition, in rooms, expect free Internet access, DVD player, music systems, preloaded iPod and dock, herb garden, yoga kit, toiletries of the spa, and outdoor meditation sala. Talking about the poolside, there is an outdoor infinity pool from where you can adore the sunset at the Phang Nga Bay. The check-out time is noon, but this is extendable as per the availability of the rooms. Usually, the check-in time is 2 pm. With regards to the children policy; it is obvious that children are not allowed here. Go for the three-bedroom resort atop the Hill, a mini one in the giant of its kind. 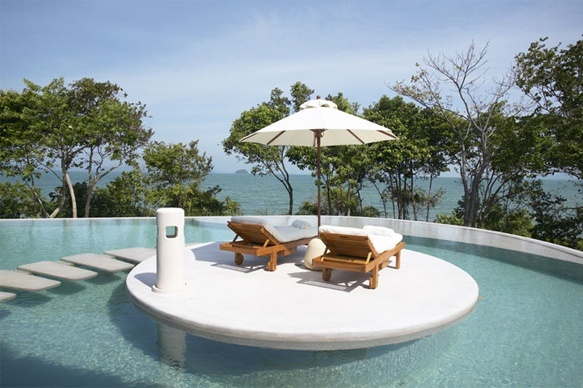 It offers comprehensive vistas of the Phang Nga Bay and has a private pool, kitchen, spa, gym, dining area, meditation ground, and shower in open. There are two villas here, which are adorned with natural lime green, teak, cane and a plain brown palette. And yes, there are personal butlers that cater to your needs all 24 hours. The cozy and relaxed Tonsai restaurant here is distinct, which will surely force you to change your views of a spa cuisine. This is because here the focus is on the rich balance of organic, raw, natural, and seasonal ingredients reducing the amount of unhealthy saturated fats and salt, but still full of mouth-watering savor. Much of these are cultivated in the private garden of the Six Senses Sanctuary Phuket. This is a wellness resort, so alcohol is not served. Offering some great vistas and perched in a cliff side, Dining at the Point is one more option for lunch or dinner. Want to know the dress code? Well, a yoga suit with slippers often matches with the surroundings of the resort. Initially, this might seem crazy or offbeat, but as days pass, you will fill the peace of not deciding every morning on what to wear. Looking for the top table here? Well, be at the Dining at the Point as it is remote and still to not disturb you while you are soaking in the views of the sea. The restaurant is ready to operate till 9 pm. Talking about the room service; it is actually not available here. However, on your request, snacks can be offered at night if very much required. Want to go in a bar? Oh sorry! This is a total health-oriented resort. So, take care of your health, not of your unhealthy desires. After all, this is a spa resort.